If you follow us on Facebook, which you totally should, we asked you to show us your Christmas tree! And WHOA! You guys really showed off! We are trying to comment back to each of you! Your trees are FANTASTIC! I’ll show you my tree a little further down in this post, and I am honestly a little embarrassed for you to see it, haha! I was noticing some trends while clicking through, and you guys gave me great ideas that I want to try out next year when I get a bigger tree! I really liked the stories you shared about your trees! You told stories about ornaments that were passed down, traditions of kids and grandkids decorating the tree, and more. Each of your trees are so special! There were plenty of trees topped with traditional stars or angels. I really liked how creative some of these toppers were! I saw a lot of trees wearing top hats, and even snowman heads. One tree that stood out to me was the one with the rooster weather vane. You really thought outside of the box on that and it was amazing! What do you put on top of your tree? Some people might shy away from a tree that isn’t green. I don’t blame you, I’d be a bit nervous too about straying away from tradition! But this trend is so fun! 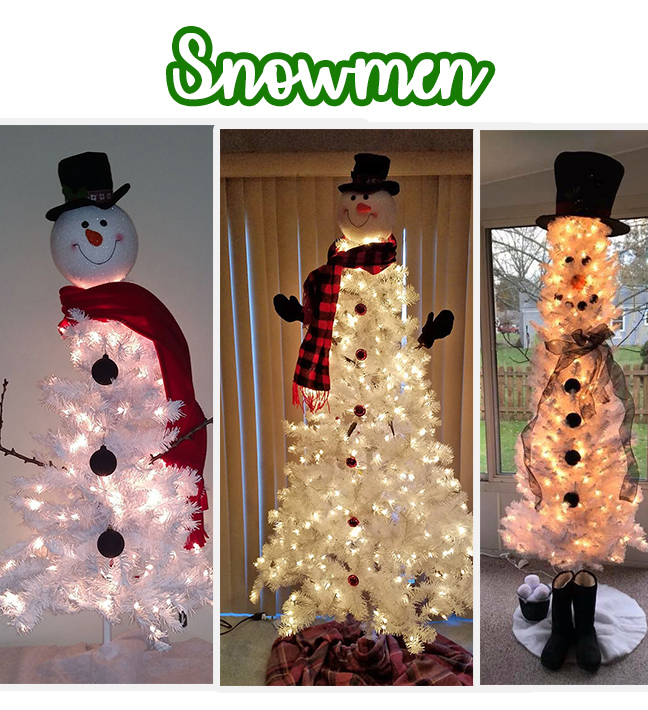 Get yourself a white tree and make a SNOWMAN out of it! You guys are Pinterest MVPs! This is one trend that I have done on my tree in the past. I just love the finishing touch that a ribbon garland adds. It makes the tree look a little more whimsical and adds to the magical feeling of the season! 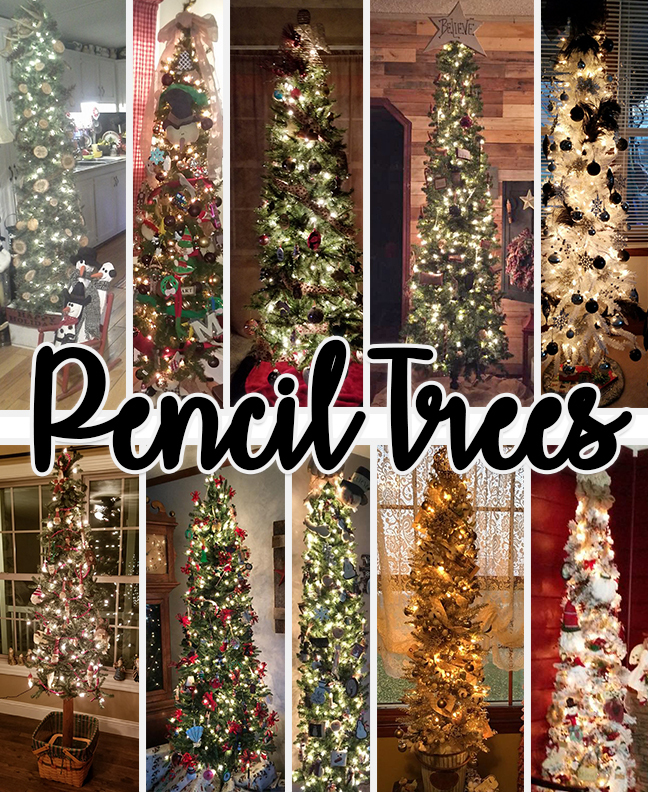 I am officially thinking about going to look for a pencil tree when all the Christmas decor goes on sale! I wasn’t aware this was a thing! I’ve always pictured big, plush, full trees for Christmas (spoiler alert: my current tree is NONE of those things), so this was a nice style to learn about. Thanks guys! 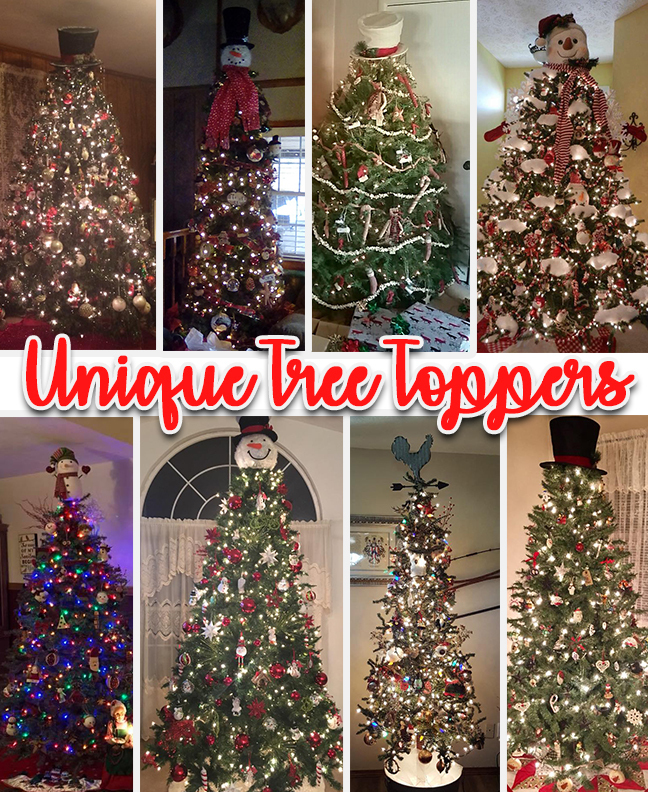 Thanks for sharing all your trees with us! These were just a few pics of some trends I noticed. 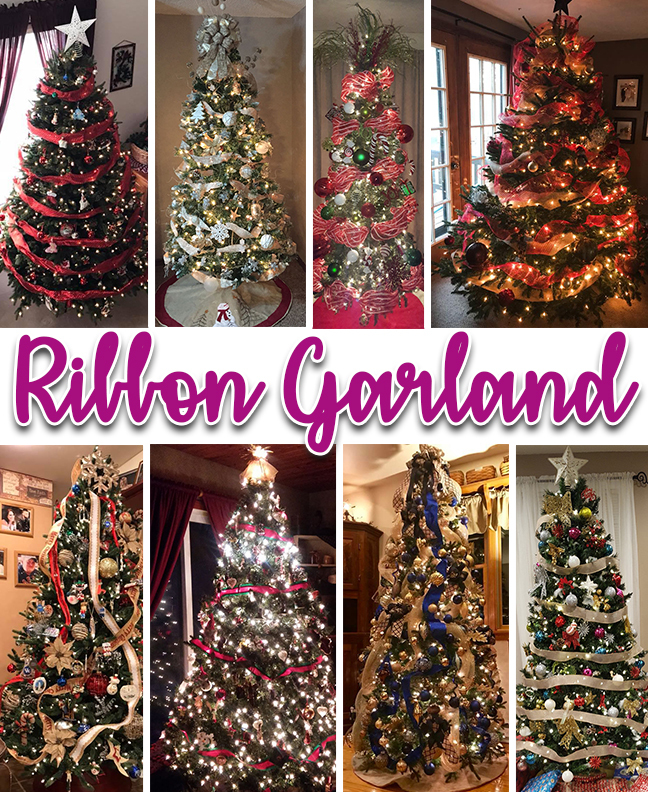 What is your favorite Christmas tree trend? It’s important to me that we have traditions with Isabella! And I am starting with her own tree. I know she is still too little for a lot, but I wanted her to have her own thing. We don’t have a ton of space to get another tree just for her. So I found a magnet tree on Amazon! She seems to like it and plays with the decorations often. The other motivation behind getting her something was so that if she wanted to play with our tree, I could easily redirect her to her own tree. Ugh, after looking at all of your amazing trees, I can’t believe I am going to show you mine! I didn’t get a great picture of it, so sorry for that! And now that I am super analyzing my tree, I also need to get a tree skirt. I have had this 4 ft. tree for five or six years. It’s been through a lot! I almost didn’t put it up this year because I was nervous that it would be a constant battle trying to keep Isabella out of it! She’s been great! She stops and looks at it occasionally but she hasn’t touched it.She just looks at them for a minute before going on her next adventure. She is always on the move, we call her Busy Bella for a reason! I wish you safe travels and a great time with your family and friends! The season came so fast and it will be gone even quicker. Treasure the time! KP Creek customer service is closed December 23-26, 2017. But you can shop online 24/7 while you wear your brand new pajamas! Be sure to check out our Christmas sale! I can’t wait to hear about the delicious food you ate, and the gifts you gave and received! Isabella wishes you a Merry Christmas too!